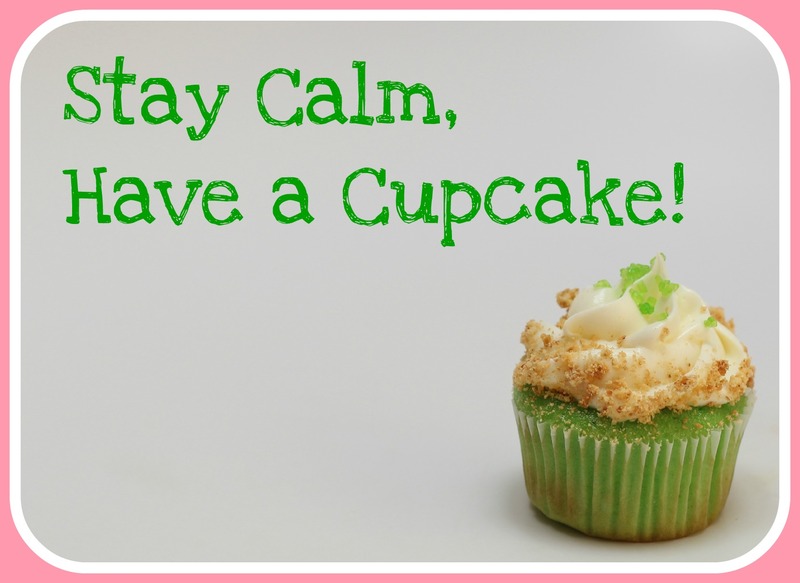 vanilla frosting | Stay Calm, Have A Cupcake! I have to apologize – I have not blogged since the 1st of March! I have no good excuse, but I have been so busy baking, and shipping orders. Not to mention, I was deathly ill the past 7 days! But I’m back and ready to share some awesome recipes with you. 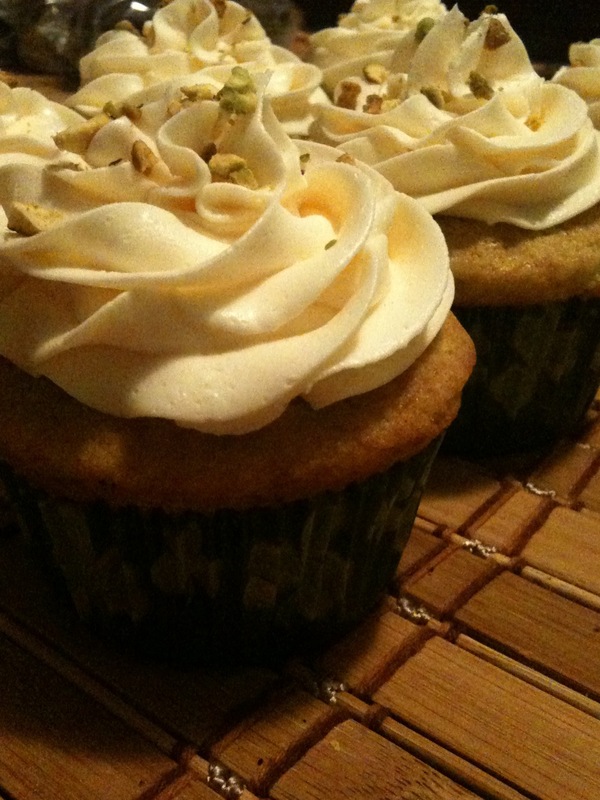 I recently had a request for Pistachio cupcakes….I was initially terrified at the idea because I had never even tried to make these kind of cupcakes before. To my suprise however, I found a lovely recipe that took me no longer than 15 minutes to whip together. 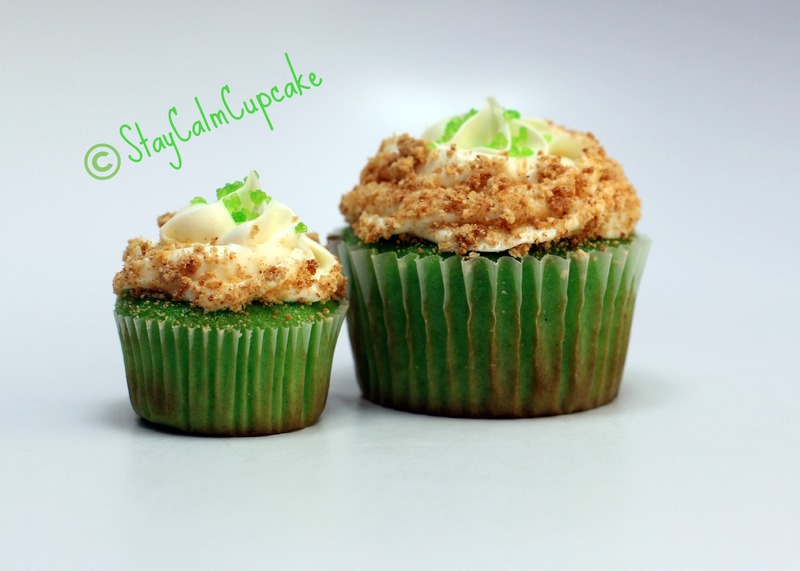 I don’t normally like pistachio muffins, cupcakes, or even pistachio’s in general – but these cupcakes are good! So I hope you enjoy the recipe, because it is sure to impress anyone who bites into these little green cups of nuttiness. Preheat oven to 375 degrees. Line standard muffin tins with paper liners. Process whole pistachios, sugar, and salt in a food processor until finely ground. Add butter, vanilla, and eggs, and process until smooth. Add flour, and pulse until just combined. Let cool in tins on wire racks. Cupcakes will keep, covered, for up to 2 days. 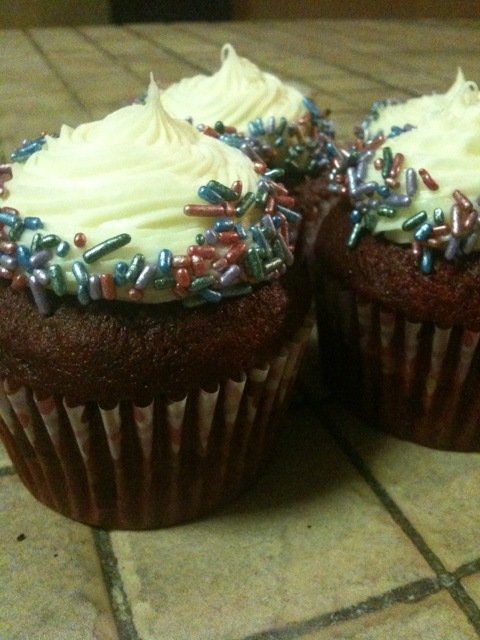 I topped mine with the cream cheese frosting I use for my red velvet cupcakes – but any vanilla frosting would be just as yummy!! Enjoy!! Every wonder how professional cupcake bakers get the perfect amount of sprinkles around the edge of their frosted cupcake? Me too, until I just tried it and realized it’s not hard at all! 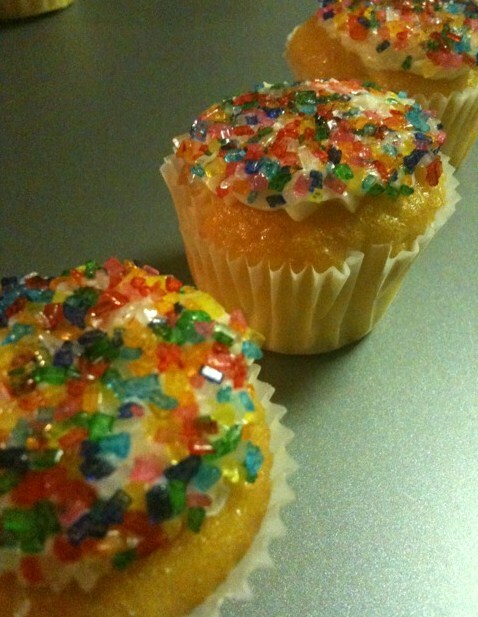 Once you’re cupcake is frosted, pick out the type of sprinkles you want to use. Pour 1.5 Tablespoons of sprinkles into the palm of your left hand. Holding the cupcake in your right hand, dip the edge of the cupcake’s frosting in the sprinkles – rotate the cupcake’s edge in the sprinkles until you have made a complete circle. Fill in any spots that aren’t covered and VOILA – a very professional looking sprinkle job!! But what about looking the part?? 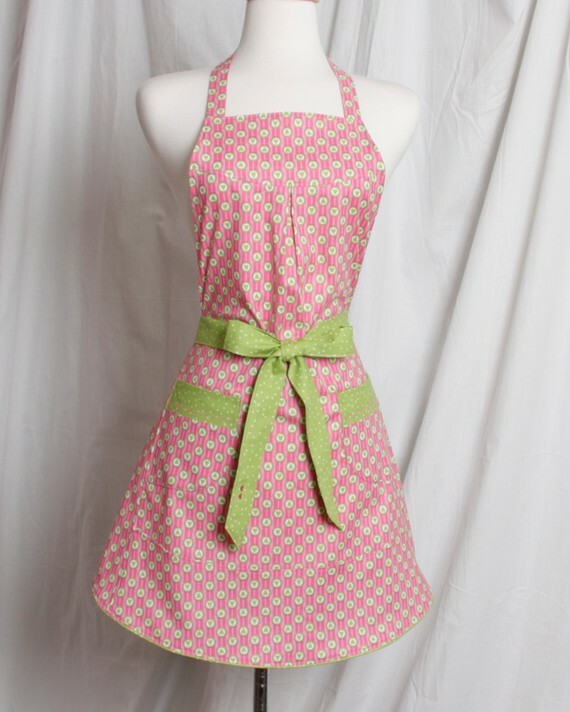 Every cupcake baker needs an apron! 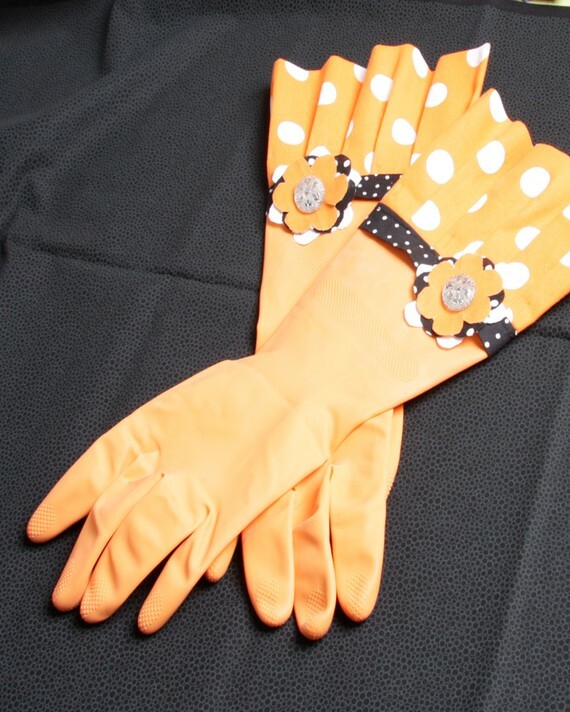 My new sponsor Apron Queen has just what you are looking for! Her shop is filled with the most adorable aprons and gloves! 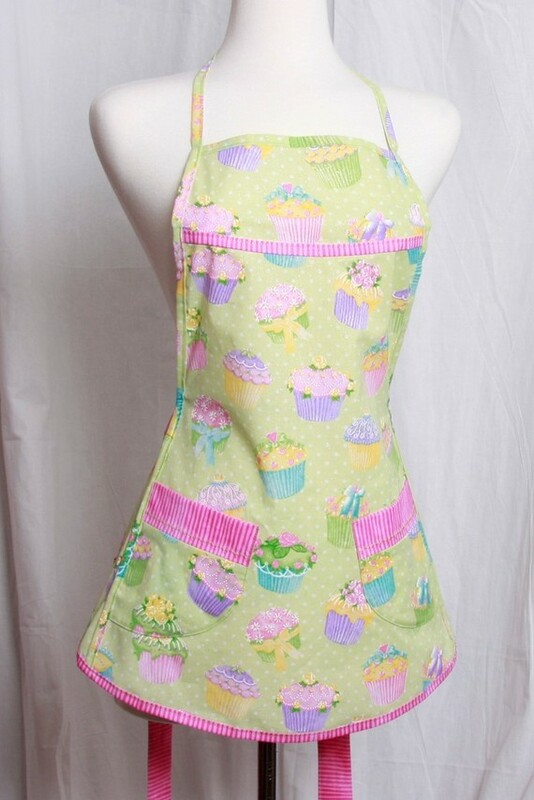 Cupcake Apron for Cupcake Baking! Everyone looks cute in Pink Polka Dots! Stop by and check out her shop – if you don’t see a pattern you like, she will be happy to create a custom design just for you! I’m still trying to decide which apron I want to buy! 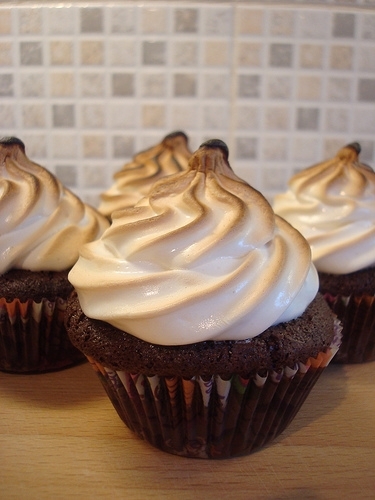 Feel like cupcakes but don’t feel like making them yourself? 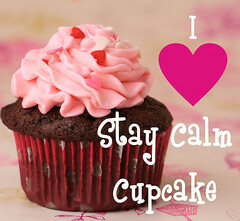 Good news…Today’s Special on Stay Calm Cupcake Shop is a 6 pack of Mini Cupcakes for only $3.00!! Head on over and order yours while supplies last. 1) They are so darn easy to make!! 3) They add the perfect amount of “pazzaz” to any birthday party! So let’s get started! 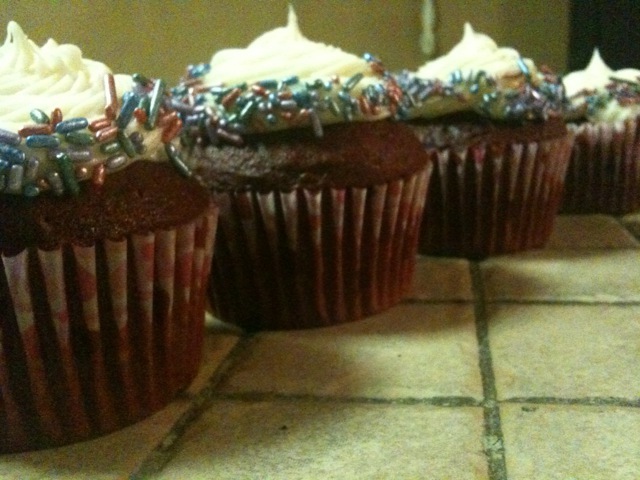 For these cupcake you will need a miniature cupcake pan and miniature cupcake liners. I chose to make a vanilla butter cake as my base – you can use whatever yummy recipe you feel comfortable with. In medium bowl, stir together flour, baking powder and salt. In measuring cup, mix milk and vanilla. In large bowl, with mixer at medium-high speed, beat butter and sugar until light and creamy, about 5 minutes. Add eggs, one at a time, beating well after each addition. 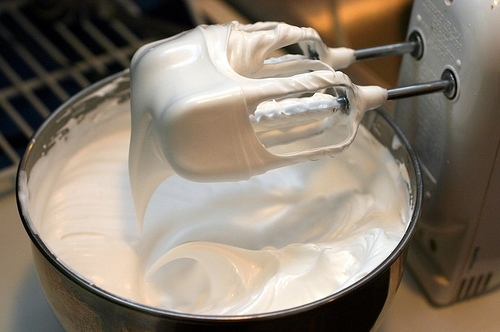 Reduce speed to low; add flour mixture alternately with milk mixture, beginning and ending with the flour mixture. Beat just until smooth, scraping the bowl occasionally with a spatula. Pour batter into cupcake liners (I usually fill them close to the top of the liner that way they puff up nicely) and bake for about 18-20 minutes. Let cool completely before frosting the cupcakes. With an electric mixer, beat together sugar and butter. Mix on low until well blended. Continue mixer on medium for another two minutes. Add vanilla and whipping cream, beating on medium for another minute. Frosting should be light and fluffy. 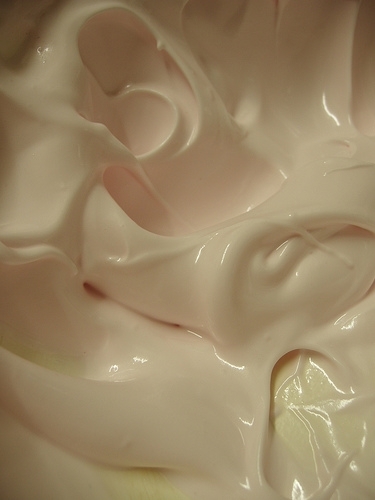 Fill a piping bag with your frosting. Cut the tip off so there is a small hole. Pipe the frosting onto each cupcake – leaving only a dollop of frosting on each – do not worry about spreading out or piping in a design. Pour your multi-colored sanding sugar onto a plate. 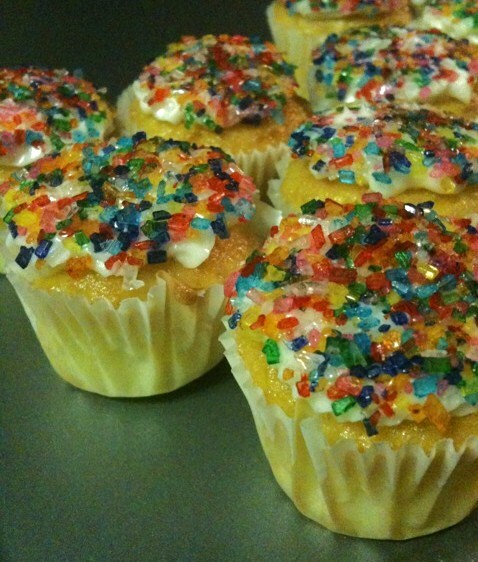 Dip each frosted cupcake into the sprinkles – smashing the frosting down around the top of the cupcake. 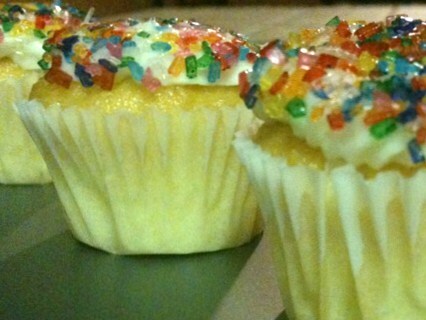 And there you have it – gorgeous, colorful, and delicious cupcakes that were super easy to make!! 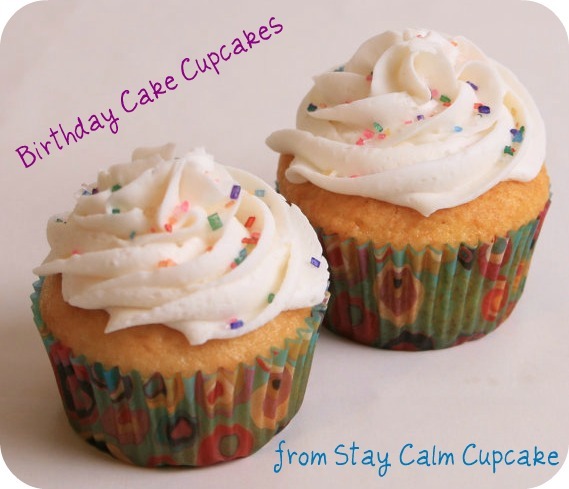 You’re cupcakes are going to be a hit at any party you bring them too. I just know it!